I have sold a property at 1868 15TH AVE W in Vancouver. COME BUY THIS FABULOUS EASY 3 BDRM LOWER SHAUGHNESSY TOWN-HOME. READY FOR YOU TO MOVE RIGHT IN AS IT HAS BEEN BEAUTIFULLY RENOVATED OVER THE YEARS SO YOU CAN ENJOY THIS ENVIOUS LIFESTYLE RIGHT AWAY. THE MAIN FLOOR FEATURES A LARGE/SPACIOUS MAPLE KITCHEN WITH BREAKFAST BAR, FAUX GRANITE COUNTERS & S/S APPLIANCES INCLUDING A SPACE SAVER MICROWAVE. PLUS A FAMILY SIZE DNRM OR FAMILY ROOM & 2PC BATH. WAIT TIL YOU SEE THE LVRM , ACCENTUATED WITH THE WARMTH OF THE SOLID OAK FLOORING PLUS THE WOOD BURNING F/P. LARGE SKYLIGHT AND THE FRENCH DOORS LEADING YOU ONTO THE DECK TO ENJOY LOADS OF NATURAL LIGHT AND A VIEW OF THE NORTH SHORE MTNS. MASTER BDRM BOASTS A 5PC ENSUITE, VAULTED CEILINGS AND A SOLARIUM. DOWN HAS GREAT STORAGE, BDRMS + 4PC BATH. NEW ROOF 2017. I have listed a new property at 1868 15TH AVE W in Vancouver. COME BUY THIS FABULOUS EASY 3 BDRM LOWER SHAUGHNESSY TOWN-HOME. READY FOR YOU TO MOVE RIGHT IN AS IT HAS BEEN BEAUTIFULLY RENOVATED OVER THE YEARS SO YOU CAN ENJOY THIS ENVIOUS LIFESTYLE RIGHT AWAY. THE MAIN FLOOR FEATURES A LARGE/SPACIOUS MAPLE KITCHEN WITH BREAKFAST BAR, FAUX GRANITE COUNTERS & S/S APPLIANCES INCLUDING A SPACE SAVER MICROWAVE. PLUS A FAMILY SIZE DNRM OR FAMILY ROOM & 2PC BATH. WAIT TIL YOU SEE THE LVRM , ACCENTUATED WITH THE WARMTH OF THE SOLID OAK FLOORING PLUS THE WOOD BURNING F/P. LARGE SKYLIGHT AND THE FRENCH DOORS LEADING YOU ONTO THE DECK TO ENJOY LOADS OF NATURAL LIGHT AND A VIEW OF THE NORTH SHORE MTNS. MASTER BDRM BOASTS A 5PC ENSUITE, VAULTED CEILINGS AND A SOLARIUM. DOWN HAS GREAT STORAGE, BDRMS + 4PC BATH. NEW ROOF 2017. OPEN HOUSES SAT/SUN APRIL 14,15 2-4PM. Please visit our Open House at 1868 15TH AVE W in Vancouver. I have sold a property at 301 1990 DUNBAR ST in Vancouver. 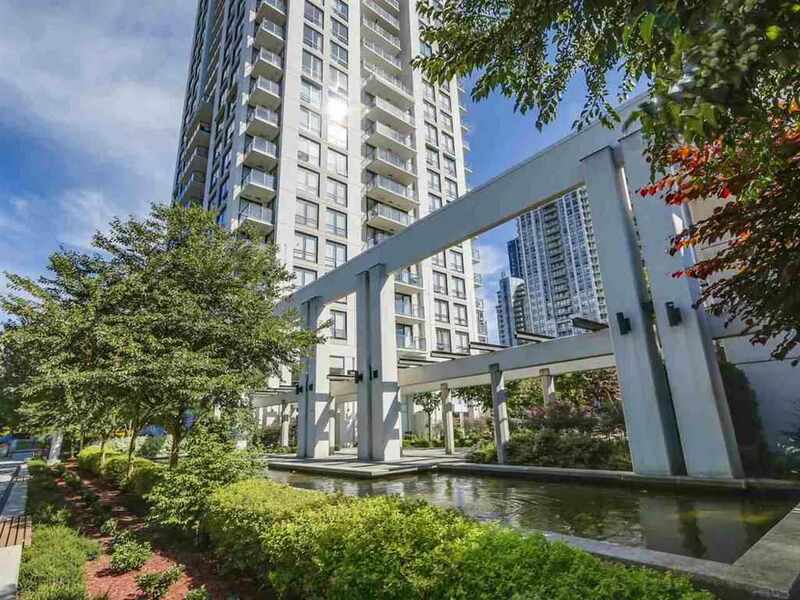 Amazing KITS Location 2 bedroom + flex unit Spacious floorplan - HUGE KITCHEN w/ breakfast bar and window, OPEN living area with gas fireplace, large master bedroom with WALK-IN CLOSET, and upgraded bathroom with cheater entrance. KITCHEN has quartz countertops, stainless steel appliances, Covered balcony, Literally steps away from shops and restaurants on 4th and beach....................... RENTALS and PETS ALLOWED. Very bright unit, covered balcony, Irreplaceable location - 1 parking included. I have sold a property at 116 1823 7TH AVE W in Vancouver. This one bdrm plus den unit is available for immediate possession at this prime Kits location, "The Carnegie." This unit is not on the ground flr and is very quiet as it faces the inner courtyard. Not one sq ft of wasted space. Open concept plan w/new engineered flooring and paint throughout. Kitchen with a tons of storage space and granite countertops. Living rm w/gas fireplace which is included in the maint fees. Good size bdrm with walk in closet. Den has a window and French doors for privacy. This problem free building allows pets and full rentals allowed. This unit comes with one secure underground parking stall and tons of visitor parking. Easy to show! Minutes to Kits Beach, tons of shopping and restaurants! Please visit our Open House at 301 1990 DUNBAR ST in Vancouver. Amazing KITS Location 2 bedroom + flex unit Spacious floorplan - HUGE KITCHEN w/ breakfast bar and window, OPEN living area with gas fireplace, large master bedroom with WALK-IN CLOSET, and upgraded bathroom with cheater entrance. KITCHEN has quartz countertops, stainless steel appliances, Covered balcony, Literally steps away from shops and restaurants on 4th and beach. RENTALS and PETS ALLOWED. Very bright unit, covered balcony, Irreplaceable location - 1 parking included. OPEN HOUSE SAT & SUN 2:00pm to 4:00pm. I have listed a new property at 301 1990 DUNBAR ST in Vancouver. I have listed a new property at 116 1823 7TH AVE W in Vancouver. Please visit our Open House at 116 1823 7TH AVE W in Vancouver. I have sold a property at 401 2929 4TH AVE W in Vancouver. WOW! Move in condition! This bright and spacious 2 bed 2 bath corner unit w/ solarium, skylight & open concept living with no wasted space located in "The Madison"; steps to trendy cafes and shopping on West 4th. The gourmet kitchen offersbreakfast bar, S/S appliances, and granite counter top, and lots of wooden cabinet. The living room with gas F/P has a door to open private balcony and solarium (can be used as a den or office). Modern light fixtures; pets OK and rentals allowed;; underground parking; located in the heart of Kitsilano, south facing; just a short drive from UBC, 3 blocks to the beach and Coonaught Park. Bonus of hardwood flooring, and recently painted; MUST BE SEEN! Please visit our Open House at 401 2929 4TH AVE W in Vancouver. WOW! Move in condition! This bright and spacious 2 bedroom 2 bathroom with solarium, skylight & open concept living with no wasted space is located in "The Madison"; steps to trendy cafes and shopping on West 4th. The gourmet kitchen offersbreakfast bar, S/S appliances, and granite counter top, and lots of wooden cabinet. The living room with gas F/P has a door to open private balcony and solarium (can be used as a den or office). Modern light fixtures; pets OK and rentals allowed;; underground parking; rainscreen technology; located in the heart of Kitsilano, south facing; just a short drive from UBC, 3 blocks to the beach and Coonaught Park. Bonus of hardwood flooring, and recently painted; MUST BE SEEN! I have listed a new property at 401 2929 4TH AVE W in Vancouver. I have sold a property at G05 1823 7TH AVE W in Vancouver. This freshly painted one bdrm ground flr unit is in the VERY solid rainscreened "Carnegie" building located in the heart of Kits. This west facing unit has private ground levelentry plus area; perfect for dog owners. Open flr plan w/no wasted space. Suite features include hardwood flooring, gas f/p, insuite laundry & kitchen w/granite countertops and quality cabinetry. "The Carnegie" is 15 years young. 1 parking stall & 1 storage locker. Rentals & 2 pets allowed plus visitor parking and bike room. Low maint fees,$195.24 which inclds gas & hot water. Walk to shops and restaurants along Burrard & Broadway w/easy access to transportation & dt! I have listed a new property at G05 1823 7TH AVE W in Vancouver. This freshly painted one bdrm ground flr unit is in the VERY solid rainscreened "Carnegie" building located in the heart of Kits. This west facing unit has private ground levelentry plus area; perfect for dog owners. Open flr plan w/no wasted space. Suite features include hardwood flooring, gas f/p, insuite laundry & kitchen w/granite countertops and quality cabinetry. "The Carnegie" is 15 years young. 1 parking stall & 1 storage locker. Rentals & 2 pets allowed plus visitor parking and bike room. Low maint fees of $195.24 which inclds gas & hot water. Walk to shops and restaurants along Burrard & Broadway w/easy access to transportation & downtown!